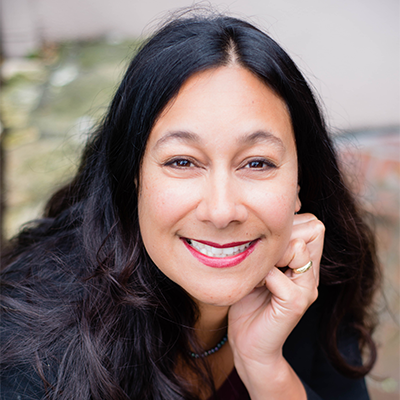 Jeannette Tuitele-Lewis became BSLT's President and CEO in October of 2014. 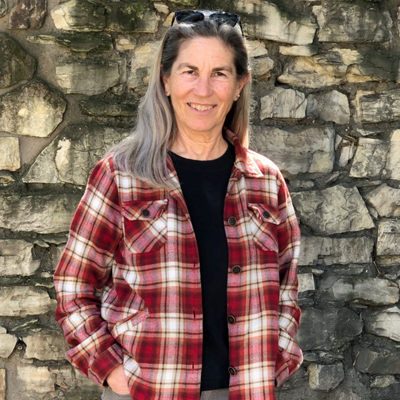 Prior to coming to BSLT, she worked for Sierra Foothill Conservancy for five years as executive director, following three years as development and outreach director. During her tenure, the organization doubled its operations capacity, reached a milestone of 25,000 acres of conserved lands, and became Land Trust Alliance accredited. Born in California, Jeannette split much of her youth between the West Coast and the Pacific Islands. Her earliest outdoor memories include long days at the beach while living on Guam. Her teen years were spent exploring the oak woodlands of California's Solano County. These experiences sparked a lifelong passion for land conservation and the study of the relationship between land and people. Upon graduating from the University of Hawai'i at Manoa with a botany degree, Jeannette worked in the American Samoan Islands for the Community and Natural Resources Division. There she documented medicinal uses of plants by traditional healers, worked with local farmers to promote non-timber forest products, and coordinated village tree plantings in areas devastated by recent hurricanes. She received her master's degree in forest science from Oregon State University, where her studies integrated ecological analysis, agroforestry, and land tenure systems. Following graduate school, Jeannette worked as a forest science technician, collecting data on old growth forests across the Pacific Northwest. Jeannette serves on the board of the California Council of Land Trusts and on the national Leadership Council of the Land Trust Alliance. She is also an alumnus of the Center for Whole Communities. She spends her free time exploring coastal lands with her husband, Jamie, and their two young children, Amaelia and Malae. She also maintains her Pacific Island connections and occasionally advises on projects in the region. 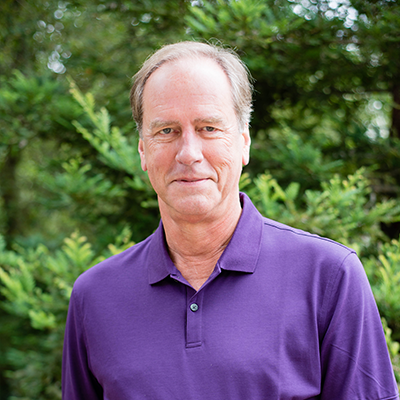 Rich Hamilton joined the Big Sur Land Trust in 2012, after spending most of his career in financial management in the real estate development and resort management industries. A native East Coaster, Rich began his career as a management trainee and renovation-projects manager with Sheraton Hotels in Toronto before receiving a highly fortuitous transfer to the Central Coast of California to help oversee the construction of the Monterey Sheraton Hotel (now the Marriott Hotel). He then spent 14 years in various real estate development and resort-operations posts with Pebble Beach Company, including eight years as chief financial officer. Rich also served in senior finance positions with Paramount's Great America in Santa Clara, California; the Resort at Squaw Creek in Olympic Valley, California; and at Kiley Ranch Communities in Sparks, Nevada, while living in Lake Tahoe. 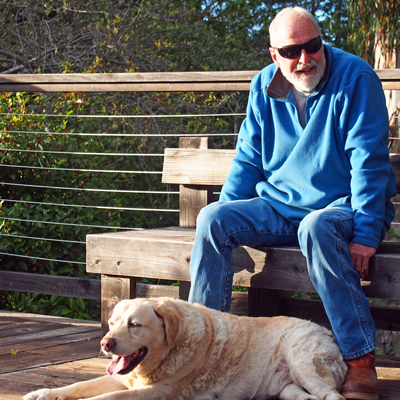 "When the time came for me to move back to the Monterey Peninsula from Lake Tahoe," Rich says, "a position at BSLT caught my eye. As a hiker, I had always been impressed by the Land Trust's conservation efforts. But when I learned that their mission also included using conserved land as a force for good in the world, I knew that BSLT would be the ideal place for me to invest my time and energy." Rich received a bachelor's degree in business administration from George Washington University in Washington, D.C., and an MBA in finance from the Amos Tuck School at Dartmouth College in Hanover, New Hampshire. On early Saturday mornings, he can usually be found hiking up to the ridgeline in Garland Park or on one of BSLT's properties. He also enjoys tennis, skiing, astronomy, and trying to finish all the books in his Kindle. In search of meaning in her career, Guille Barbosa began her tenure with the Big Sur Land Trust in June 2012 as Executive Assistant to the President/CEO and Board Liaison. Her position has since evolved, and she currently provides support to the Development and Communications/Community Engagement Departments, both of which she enjoys participating in and learning from. Previously, Guille, who is fluent in Spanish, worked for seven years as executive assistant to the senior vice president and general manager of Entravision Communications Corporation (also know as Univision Spanish Network). Plus, she hosted a short morning segment on KSMS-TV, the regional Spanish media, interviewing local politicians, business owners, and nonprofits. Although being in front of the camera was not her niche, she was grateful for the opportunity to interact with the Central Coast community. She hopes her efforts in the communications and community engagement department at the Big Sur Land Trust enable her to reach out to the Latino community, connect with them, and convey to them the needs and benefits of the outdoors. Guille is a lifelong resident of Salinas. Although she considered living in other areas, "the weather and beauty of the Central Coast always called out to me," she says. Guille is very involved in her son's soccer games and personal development. They enjoy being outdoors together every weekend, participating in soccer activities, hiking, or boogie boarding. Guille especially appreciates jogging on trails and watching her son experience an active outdoor life. Guille is a graduate of North Salinas High School, Prairie State College in Illinois, and the University of Phoenix. She hopes to return to school one day to pursue an MBA degree. Jim Cox has been caretaker and manager of Glen Deven Ranch for more than 30 years. He was instrumental in forming Big Sur's volunteer Mid-Coast Fire Brigade and served on it for 24 years (15 of them as chief or assistant chief), handling fires, medical emergencies, and rescues year-round on the Big Sur coast. In 1998, he was voted Volunteer Fire Fighter of the Year by the Monterey County Fire Chief's Association. Todd joined the Big Sur Land Trust in 2007. He has served in many different capacities, including as operations and events manager, community affairs manager and creative producer — along with designing and managing BSLT’s Youth Outdoor Programs since their inception in 2013. Todd firmly believes the health of nature and the health of our human communities are intertwined. Over the years he has sought to connect people of all ages to BSLT conserved lands and beyond through facilitating a wide range of experiences — from intimate guided hikes though ancient redwood forests to community-wide festivals celebrating urban open spaces. Todd serves on the Board of the Carmel Valley Chamber of Commerce and volunteers with the Carmel Valley Kiwanis Club. He also spent several seasons volunteering with the Monterey Jazz Festival as the Next Generation Jazz Orchestra chaperone or as the festival’s lead volunteer coordinator. When Todd isn’t volunteering in his community, exploring the deep woods alone or with new friends he’s exploring the depths of his imagination with pen and paper in hand, and trying very hard not to be the next worst short story writer on the Monterey Peninsula. 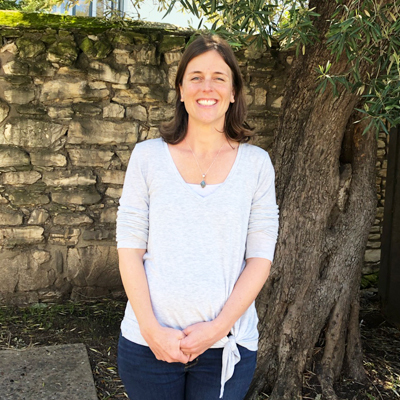 Ashley joined the Big Sur Land Trust in October 2017 as the Grants Coordinator to provide support to the Development Team and help raise funds for the many programs and projects that BSLT carries out. She worked previously as a Program Coordinator at the Lyceum of Monterey County, administering county-wide academic enrichment programs in different disciplines and honing her organizational and project management skills. Ashley completed her MBA and MA-International Environmental Policy at the Middlebury Institute of International Studies in Monterey in August 2017, with a focus on social enterprise and conservation finance. She is a lifelong student particularly interested in biodiversity protection, ecosystems-based management, and the role of business in natural resource conservation. Originally from McHenry County, Illinois, Ashley received her BA in International Relations and Spanish from Lake Forest College in December 2013 and shortly thereafter served as the Internship and Research Affiliation Coordinator for the Monteverde Institute, based in Costa Rica. 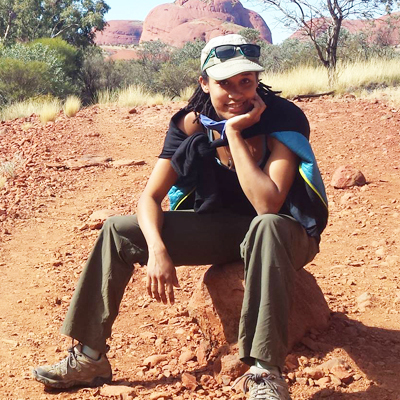 While abroad, she honed her Spanish language skills and developed a love for nature-based education and play, as well as an interest in birds and passion for physical activity outdoors. Ashley continues to enjoy these hobbies in Monterey, and can frequently be found spending her free time outside spotting birds, hiking, or trail running in and around several of the areas benefited by BSLT's work. She also plays Ultimate Frisbee on a local league and goes rock climbing at the Sanctuary in Sand City, two activities that have brought her many friendships with other Monterey community members and many opportunities to enjoy sports outdoors. Alex started volunteering with BSLT in 2016 and quickly took on the role of a Sustainability Volunteer Coordinator, arranging volunteer work days to remove invasive species at Martin Dunes. This gave him the opportunity to get to know and fall in love BSLT's properties, so when the Development Assistant position became available, he seized the opportunity to deepen his connection to BSLT and the land. Despite his change in responsibilities, Alex still jumps at any opportunity to work with volunteers or help with restoration and conservation efforts. In 2013, Alex graduated from the University of California, Santa Cruz with a dual BA in Environmental Studies and Politics. He spent the next few years volunteering with the State Parks Natural Resource Management crew and the Homeless Garden Project, doing child care, and working with the Santa Clara County Sheriff's Office. He moved to Monterey in the summer of 2016 to pursue a dual MBA and MA in International Environmental Policy at the Middlebury Institute of International Studies. He expects to graduate in December 2018, well-prepared to find the common ground between business interests and environmental concerns. Alex grew up in Davis, California and often went camping, hiking, and backpacking in the Sierra Nevada and Klamath Ranges. While at UCSC, he trained in and eventually taught martial arts as a member of the Ninjutsu Training Group, which often held classes in the many riparian corridors that cut through campus. In his free time, Alex enjoys exploring Monterey County with his partner, Violet, and their dog, Kookie, a terrier mix and regular fixture at the BSLT office. Kate Mitchell Mehle joined the Big Sur Land Trust as Director of Development in May 2015, bringing with her nine years of experience at United Way Monterey County. In that time, she rose to become United Way's team leader and raised nearly $28 million for the county. A native East Coaster, Kate grew up in New Jersey, developing her love of nature at Bear Mountain and the Palisades Park. At Penn State University, she earned a bachelor's degree in marketing and minored in women's studies. Upon graduation, Kate moved to Boston to join a media-buying firm that served clients such as WGBH, Jordan's Furniture, Cracker Barrel, and Comcast. But she left marketing and advertising to follow her dream of working in the nonprofit industry. Kate has expanded her knowledge of nonprofit management by participating in the Community Foundation for Monterey County's LEAD (Leadership Education and Development Institute) program and by volunteering in leadership roles with organizations such as the Junior League of Monterey County and the Parenting Connection for Monterey County. She is also an active member of the Association of Fundraising Professionals, Monterey Bay Chapter. Kate lives in Marina with her husband, Matt, and their two young children, Colin and Tyler. Her favorite pastimes include taking her boys hiking or camping. Kate's favorite hike is the Vernal Fall and Nevada Fall Trails at Yosemite National Park. Nikki is a Monterey County native with an enduring love of wild places and open spaces. Her professional experience spans more than three decades of work with non-profit conservation organizations and public resource management agencies. She returned to BSLT in 2018 to coordinate land transactions. Nikki’s academic background includes degrees in Biogeography from UC Berkeley, where her graduate work focused on riparian plant ecology. Nikki started her career with The Nature Conservancy’s California program and later worked with TNC as the Manager of the Muleshoe Ranch Preserve in southeastern Arizona. After returning to California, she spent time with the Monterey Peninsula Regional Park District as the agency’s first Naturalist and later used her training in riparian ecology to coordinate restoration efforts on the Carmel River for the Monterey Peninsula Water Management District. Nikki served as Conservation Director for BSLT between 2000 and 2002, and as Vice President of the Wilderness Land Trust between 2005 and 2009. Nikki continues to teach plant community ecology at California State University Monterey Bay and is active with the California Native Plant Society. 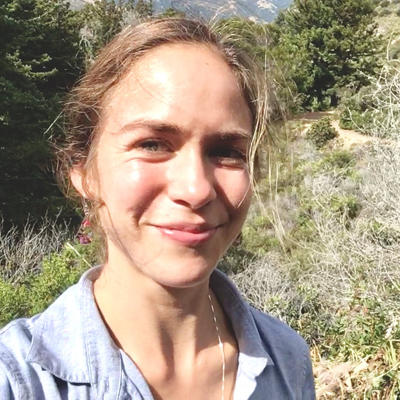 Abby Nichols joined Big Sur Land Trust in 2018 as Stewardship Projects Manager. Directly prior to her involvement with BSLT, she supervised a seasonal forestry team in the Sierra Nevada Mountains with Great Basin Institute and the US Forest Service. Her career in natural resources began as a teenager in New Hampshire, installing granite structures on the Appalachian Trail as a volunteer with the US Forest Service. In 2009, she worked as a chainsaw operator and forestry technician with a Utah-based non-profit organization. She then completed a conservation leadership program and supervised a forestry crew with Southwest Conservation Corps in Durango, Colorado. In 2013 and 2014, she worked with Northwest Youth Corps in Oregon as a crew leader, managing conservation projects and supervising residential teams of high school students. After serving as a volunteer field assistant and completing two internships with The Nature Conservancy, she worked as a project lead with the US Forest Service for Wild Rivers Ranger District's Botany Department. She then relocated to the Rogue Valley in Southern Oregon to manage a youth forestry program with WorkSource Rogue Valley, a one-stop job center partnered with the Oregon Employment Department. As program lead, she was responsible for identifying funding and supervising crews of out-of-school youth in need of work skills, GED assistance and other social supports. In this role, she coordinated with federal agencies and county organizations to provide unique opportunities and mentorship to underserved youth - training teenagers and young adults in the fields of conservation, recreation resource management, and restoration while providing financial, career, and emotional literacy training as a case worker. Abby is concurrently pursuing a Master of Natural Resources degree through Oregon State University and holds a Bachelor of Science in Anthropology from Oregon State University. Adrienne Otis was born and raised in Monterey and graduated from Monterey High School. After spending a year abroad at the University of Bordeaux, France, she became a tour guide for Europeans visiting the U.S. and traveled from coast to coast practicing her French and German. She then received a bachelor's degree from the University of California, Irvine and returned to the Monterey Peninsula to study and work in accounting. Adrienne soon became interested in local nonprofits and worked as a consultant at vari-ous healthcare agencies before becoming finance director of the American Lung Association of the Central Coast in 1994. Her love of this area and its natural beauty, as well as her sense that it was "home," led her to join the Big Sur Land Trust in 2007 as Accounting Manager. She enjoys going to the beach and reading and speaking French. 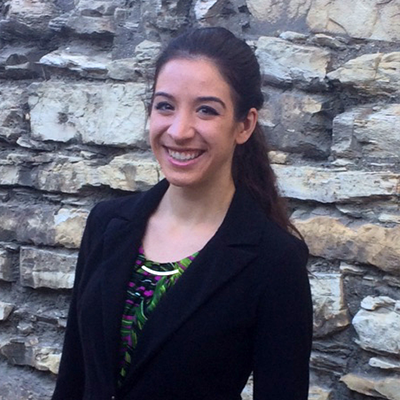 Adrienne loves to travel and has visited Europe, Asia, North Africa, and Latin America. She currently lives in Carmel Valley. 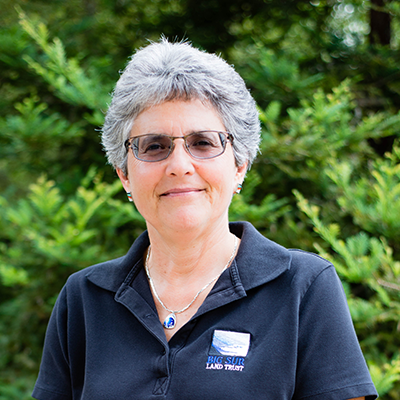 Tracy Rhoades began working at the Big Sur Land Trust in 2011 as Administration Assistant. It was not long, however, before she assumed her current position of Office Manager. 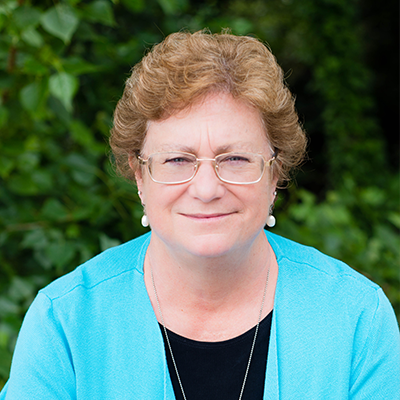 She oversees the operations of the Hartnell office and provides assistance and support to BSLT's philanthropy, communications, stewardship, and conservation departments. 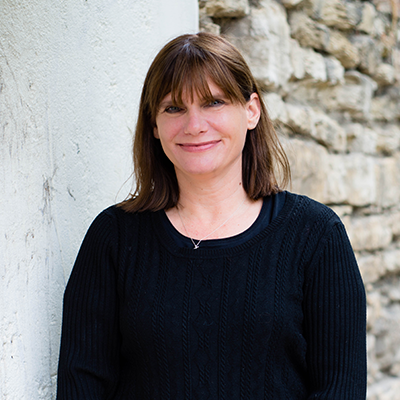 Tracy brings years of customer service, sales, marketing, and administrative experience to the organization. After graduating from California State University, Northridge with a journalism degree, she began a professional career in software sales and customer service for a major software company. She later worked as production manager for a weekly newspaper and then as an online coordinator at a daily paper. But it was during her years working with her husband, Rob, at a small Internet company that she truly enjoyed running the daily operations of an office. The Big Sur Land Trust introduced Tracy to land-conservation efforts and the nonprofit sector. She feels honored to be working for such an amazing organization. Tracy was raised in Southern California. Her parents encouraged the family to get outside and enjoy nature. They spent their summers camping in Yosemite National Park and vacationing in Carmel, where they eventually moved to and where Tracy attended high school. In their new home, the family took day trips to Pfeiffer State Park and Point Lobos. In fact, her mother was a docent at Point Lobos for years. It is BSLT's passion for preserved lands that makes working at the Trust so special for Tracy. She loves spending weekends outdoors, either playing tennis with her son or hiking with her family. Tracy also enjoys reading and learning new Web and computer programs. 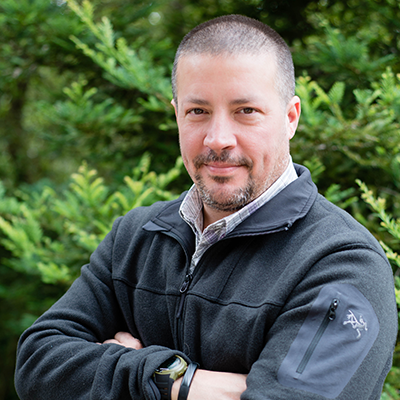 Patrick manages the Land Trust's annual easement-monitoring program, implements restoration projects, generates maps, and cares for the ecological assets, facilities, and infrastructure of Big Sur Land Trust properties throughout the county. He was drawn to BSLT's initiatives to responsibly manage conserved land, to restore impaired environments and ecological processes, and to provide tangible benefits for the community. 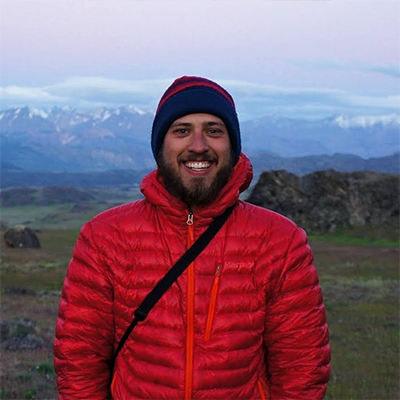 As a graduate of the University of Montana's Wildland Restoration Program, Patrick spent the previous five years working on ecological restoration and species recovery. He was a fisheries technician for the California Department of Fish and Wildlife, where he mapped and analyzed habitat, monitored populations, and performed rescues for the Southern California steelhead. As a biological consultant and restoration practitioner, he also worked to remove invasive species, improve habitat, and protect sensitive species in both California and Montana and in the Patagonia region of South America. 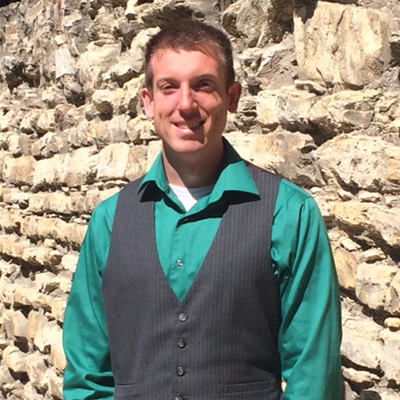 Patrick strives to create and be a part of meaningful projects that balance community values and scientific strength. Patrick grew up in Utah, Washington state, and California and spent his youth adventuring in the outdoors on backpacking, river-running, and surf trips. His love for wild places and desire to share his experience with others led him to become a Grand Canyon river guide. As is often the case when pursuing the outdoors, Patrick developed a strong sense of responsibility to learn ways in which we can best conserve and manage special landscapes. 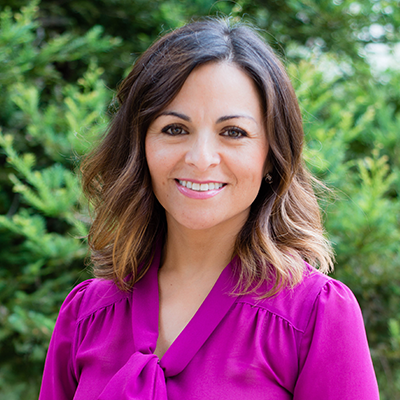 Amber Sanchez Leon joined the Big Sur Land Trust in 2008 to support the Development Team with database management, donation processing, fund-raising activities, and events on the land. She honed her senior level administrative skills through experience in various industries, including high-tech manufacturing, agricultural seed research, and city government. Other positions in real estate sales, property management, and human resources sharpened her customer service skills. She also co-owned and operated a family retail business in cellular communications in Hollister for 16 years. To continue her professional development, Amber completed the University of California, Santa Cruz's Extension Silicon Valley's Administrative and Executive Assistant Certificate Program. A highlight of her career was completing the Leadership Monterey Peninsula program in 2014 and participating in an Ad Hoc Leadership Team that sponsored a professional resource workshop. She also created a sustainable speakers bureau for Sun Street Center's residential drug and alcohol program in Monterey County. Amber was born and grew up in San Benito County on her father's farm among the cherry and apricot orchards. Raising her own family in the same area, surrounded by lush oak-studded countrysides, abundant agricultural fields, and the glorious Gabilan Range gave her a deep appreciation and love of the land. She still enjoys buying San Benito fruit to make her signature apricot jam, which she likes to share with family and friends. Rachel Saunders has more than 30 years of experience promoting the conservation of Central California's coastal and marine environments through science, policy, communications, and community engagement. Her passion for the outdoors and commitment to conservation was seeded as a child, exploring the backwoods of rural North Carolina and the tide pools of Southern California. She joined the Land Trust in 2007 as Director of Communications and Community Affairs, drawn to BSLT because of its strategic organizational changes aimed at expanding its reach and impact and ensuring that all communities have the opportunity to reconnect with the natural world. In 2012, she began a transition to BSLT's conservation work and assumed her present role in 2014. Her work at the Big Sur Land Trust is both strategic and tactical, moving from high level planning to on-the-ground implementation. Prior to joining BSLT, Rachel served as community and public relations coordinator for the Monterey Bay National Marine Sanctuary. She was also planning director for Camp Sea Lab (a nonprofit children's ocean-science education camp) and was field office director for the Ocean Conservancy, a national ocean-conservation organization, where she led successful campaigns to establish national marine sanctuaries at both Monterey Bay and the Olympic Coast. Rachel has an master's degree in natural resources policy and management from the University of Michigan and a bachelor's in environmental science from the State University of New York. She was a founder of the Monterey Bay Sanctuary Foundation and serves on its board of directors. 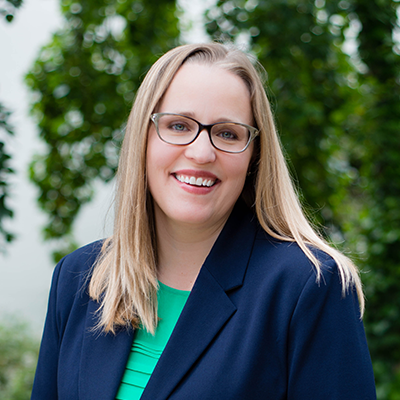 Rachel has received numerous awards for environmental leadership and community service, including a national Environmental Hero Award in 1999 from Vice President Al Gore and the National Oceanic and Atmospheric Administration. Rachel loves tennis, hiking, and watching movies. She adores her pup, Molly, who ensures that Rachel gets outside daily. After consulting with the Big Sur Land Trust on messaging and media relations, Carla Zilliox joined our team as Communications Manager in May 2016. As she learned more about our mission, she jumped at the chance to become part of the organization and help tell our continually evolving story. A native Californian, Carla grew up in San Jose, spending many weekends backpacking and hiking in Big Sur, Santa Cruz and Lake Tahoe. 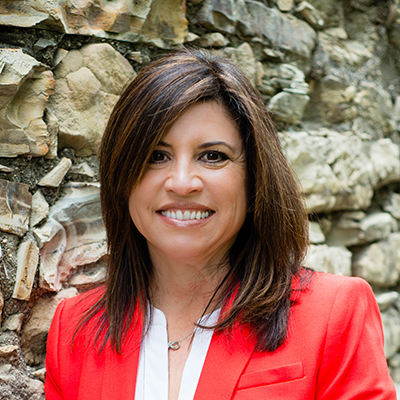 After receiving a bachelor's degree in English from UC Berkeley, Carla pursued a career in advertising, marketing and communications throughout Silicon Valley. Wanting more balance in their family life, she and her husband, Kent, moved to Carmel Valley while their sons were still in elementary school. 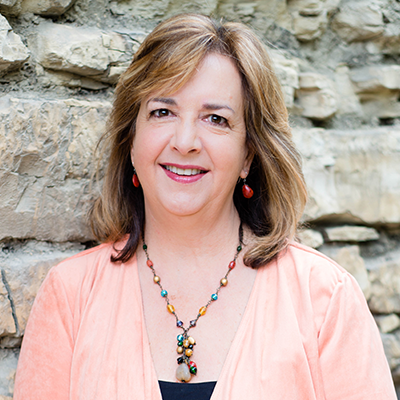 After the move, Carla established a marketing communications consulting practice; her varied client list included Cisco, HP and The Santa Lucia Preserve. Carla has volunteered with a number of local organizations including Community Partnership for Youth, the Carmel Valley Kiwanis, Carmel Valley High School Site Council and served as the communications committee chairperson for Impact Monterey County. She knows first-hand the powerful influence that our local landscapes have on our well-being. Her sons, Quinn and Lucas, have immersed themselves in the outdoors and these experiences continue to positively define their priorities.